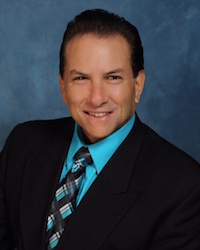 Mr. Zweig was admitted to the Illinois State Bar, New York State Bar, Arizona State Bar, the California Federal Court and United States Army Court of Military Review in 1985. He received his Bachelors Degree at Arizona State in 1980 and was a Post Graduate at American University from 1980 through 1982. He earned his law degree at California Western School of Law and a degree in military law at Judge Advocate General's School in 1985. Prior to private practice, Mr. Zweig was a Captain in the US Army, (Judge Advocate General Corps.) from 1985 through 1989. He was also a Special Assistant US Attorney from 1985 through 1987. His primary areas of practice include Personal Injury, Auto Accidents, Workmen's Compensation, Medical Malpractice, Nursing Home Injury, Birth Defects, Recalled Medications, Breast Implant, Motorcycle accidents, and Pedestrian Accidents. Mr. Zweig is a member of the American Bar Association, the Chicago Bar Association, the Illinois Bar Association, and the Lake County Bar Association. He has been recognized with honors such as the Army Accommodation Medal, the Distinguished Service Award, and is an active Chicago Volunteer Legal Services member. Mr. Zweig's hobbies and interests include ice hockey, softball, golf, snow skiing, weightlifting and coaching.